This Whole30 Curry Butternut Squash Soup is so simple to make and bursting with flavour. 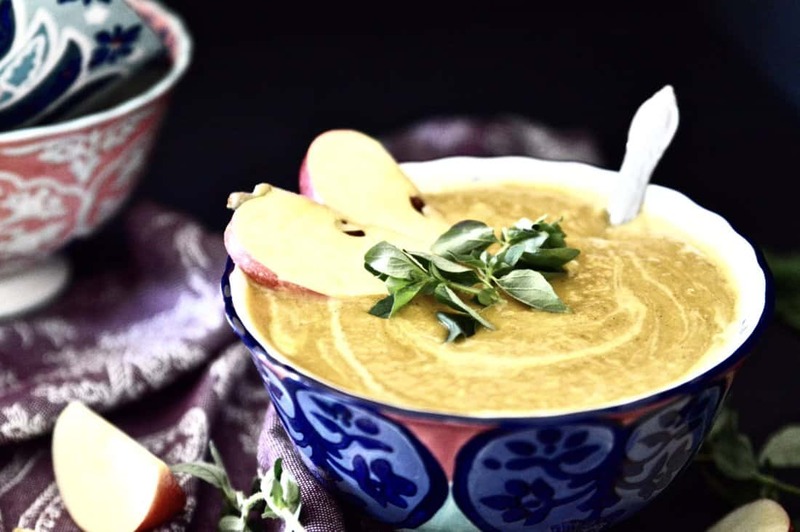 This paleo butternut squash soup recipe is the perfect fall side dish that will have you coming back for seconds and thirds. This Whole30 Curry Butternut Squash Soup is going to become a go-to easy paleo butternut squash soup recipe for those busy week nights when you don’t want to be slaving away in the kitchen. Are you guys ready for the perfect Whole30 Curry Butternut Squash Soup recipe? I hope so! This has become my new favourite easy paleo curry squash soup. It is seriously so addicting! I am totally craving warm comfort foods right now and this Whole30 Curry Butternut Squash Soup totally fits the bill. I did something this week that I never thought I would do. Hired a cleaning lady. Honestly it was the best decision I ever made. 4 hours of cleaning for $100. Best $100 I have ever spent! Seriously. My bathrooms are all spotless and my floors are mopped and shiny clean. And all this happened while I got to work on editing the photos for this recipe and make dinner on Friday night. I don’t know why I was so reluctant to hire someone to help with cleaning for so long. For some reason it felt frivolous? I don’t know. Maybe because I grew up in a house where my parents did all the cleaning so it somehow felt unnecessary or like a failure to admit that I needed help? I think that as women we often feel pressured to be able to do it all. And somehow admitting that we can’t makes us feel like failures? But I just got to the point where stressing about a messy house wasn’t worth it. Cleaning related issues are pretty much the only thing that Erik and I tend to fight about and so if I could easily remove that stressor why not do it? Because let’s be honest, I am busy! 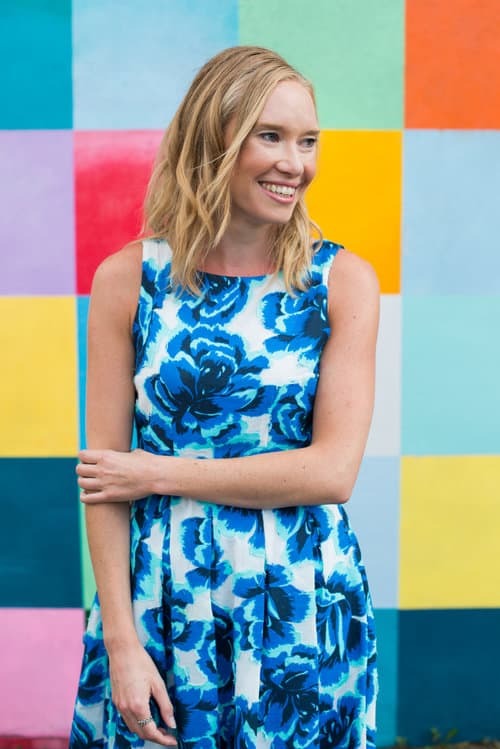 I have three different jobs (doctoring, blogging and Beautycounter) and am also trying to maintain some balance in my life. And I know many of you can relate. So I found an amazing women who actually makes all of her own cleaning products so they are totally non-toxic. Because if you have followed my blog for a while you know that I am passionate about environmental health and non-toxic living. 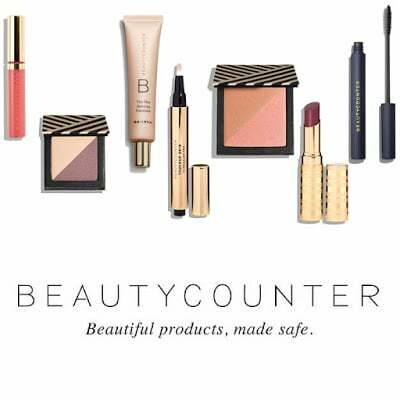 It’s the same reason that I joined Beautycounter to help advocate for safer skincare and makeup solutions. Because eliminating unnecessary toxic exposures is so, so important for your health. If you weren’t aware, the majority of cancers are actually due to to toxic environmental exposures, many of which we still can’t control, but we can control what we use in our homes and what we put on our bodies. So when it comes to cleaning supplies, make sure you are reading those labels carefully and only using products with safe ingredients. I personally love and use Seventh Generation products (and no I am not affiliated with them but just love them). Part of the reason I love Seventh Generation so much is that, like Beautycounter, they are a B corporation which is extremely important to me. If you are looking for an easy way to tell if you are using safe products I highly recommend using the EWG Guide for Healthy Cleaning. When you think of fall food what do you think of? I dream about soups, stews, curries, pies and banana bread. Fall foods are some of my favourites. All those root vegetables and apples that are filling the farmer’s markets and grocery stores are just so tempting for the taste buds. 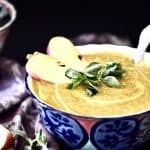 So I combined a few of my favourite fall ingredients including squash and apples, to create this mouth watering Whole30 Curry Butternut Squash Soup. This Whole30 Curry Butternut Squash Soup is also paleo, vegan and GAPS friendly. If you are looking for an easy paleo squash soup recipe this one is perfect! I know that you have better things to do than to spend hours in the kitchen so easy recipes are key to have on hand. Especially for those crazy weeknights. Don’t worry I’ve got your back friends. This soup is also filled with nourishing ingredients like bone broth (this brand is my favourite and is Whole30 approved) and coconut milk. I hope you love it as much as I do! 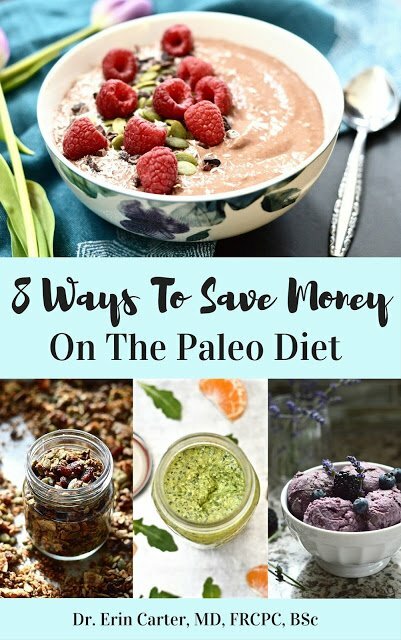 If you are looking for even more healthy and delicious Whole30 and paleo recipes make sure you sign up to my newsletter. 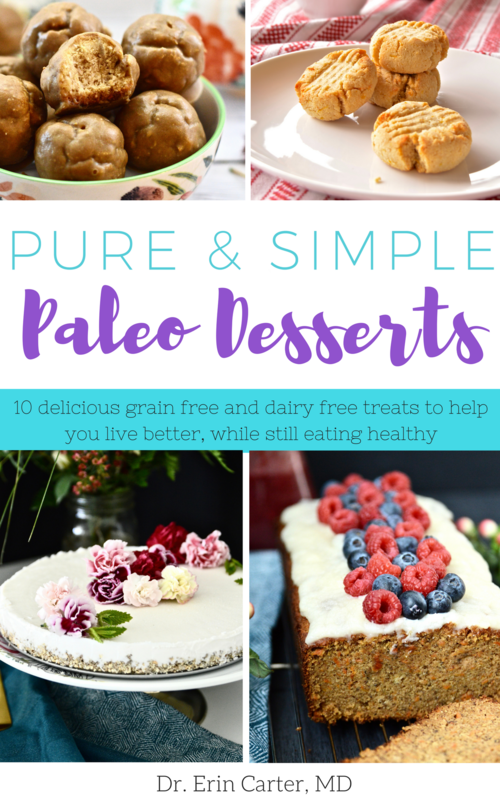 You will be notified about new recipes and will also receive a FREE copy of my Paleo Desserts Cookbook when you sign up. 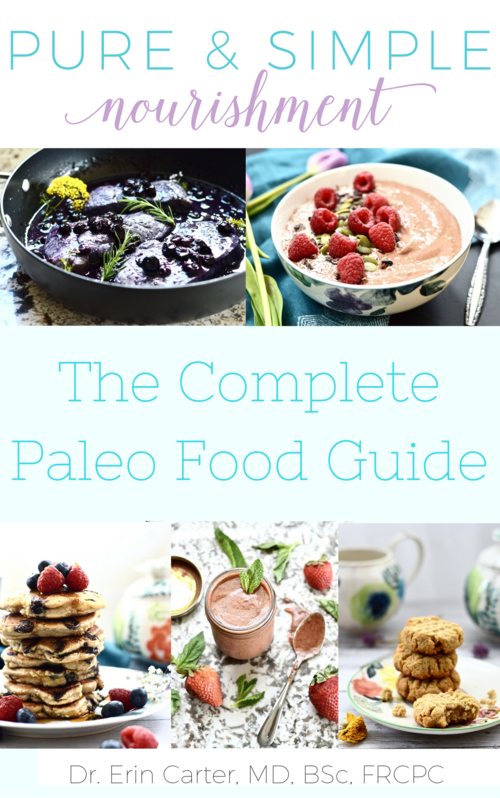 If recipes like Paleo Cookie Bites with Maple Butter Icing and Paleo Carrot Cake Banana Bread sound good to you, you will definitely want to grab your copy of that book. You can do so by leaving your email address below. And no spam ever, promise!